Creating a positive and successful learning experience for students in special education is just as important as the education of their typical peers. Being accommodating starts with a space that is physically accessible, but the physical features of a space are only the beginning. Learning styles and teaching strategies also need to be adapted in kind so that students in special ed are empowered to learn alongside their peers and contribute to the class in real and constructive ways. 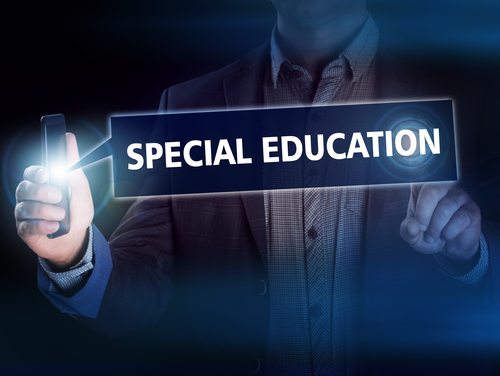 How can I ensure that my teaching style fits the students in my class with special needs? If you are a general education teacher and you suddenly find yourself in a classroom which includes students with IEPs as well as their typical peers, you should use all of the resources at your disposal to make the experience as successful as possible for everyone involved. As special ed teacher Jam Gamble said, “You could have the most accessible classroom in terms of space and lighting, but if you don’t have an accessible attitude, your classroom’s not accessible”. So how do you develop and accessible attitude? First of all, you might need to rethink your assignments and projects. The best way to ensure that you are being appropriately accommodating is by being in touch with your support faculty including the support specialist and resource teachers. These professionals can provide invaluable information about the best ways to connect with and accommodate individual students. You might also want to consider consulting with some special ed teacher to figure out how to work with students with particular difficulties. You’d be surprised how willing special ed teachers are to share their wealth of knowledge with you, when you respect their experience and expertise. How can I highlight the unique abilities of my students with special needs? Of course, all 21st century learning requires diverse activities and multimedia lessons, but these tools are even more necessary in a class including students with physical or intellectual disabilities. Various media and digital tools may allow students with disabilities to shine, or at least level the playing field if the tools are something that is new and challenging to all of the members of the class. If you have students with difficulty writing, or who are better audio than visual learners, make sure to include activities that focus on audio learning and projects that require skills other than just writing. While introducing new and varied educational tools is a great start, you should also make sure to deliberately choose activities and lessons which highlight the strengths of your differently-abled students. Everyone has strengths and weaknesses and it is important to make sure that each student has a chance to shine. This allows all of the students in the class to appreciate everyone’s varying abilities. What are some specific ways I can highlight the strengths of my special ed students? Focusing on strengths of various students starts with simple everyday classroom strategies such as calling on a particular student when you know he or she has the right answer. One great opportunity to highlight the talents of all students is to assign group projects which require a number of different skill sets. For example, if you have a student who has difficulty writing but is a talented artist, assign them to work in a group with students who are not skilled in visual arts on a project that requires a visual component. How else should I adapt my materials to special ed students? Including all students in every aspect of your lessons may seem like a daunting task, but once you get used to thinking about it, it will start to come naturally. In addition to gearing assignments toward the strengths of your students with special needs, you should also aim to use inclusive materials. That can apply to any subject which sometimes includes pictures and examples. You should try to include all types of people in word problems, or choose stories which represent diverse elements of the population. Diversity doesn’t only apply to racial and ethnic identities, but also to people with diverse abilities. Any time a teacher meets a class for the first time, there is some degree of adjustment required in the material to ensure that it fits the level of the students. No two classes are alike, and all students have different strengths and weaknesses. While it may be a challenge to accommodate special education students within the mainstream classroom, the rewards will far surpass expectations, when a teacher chooses to take on the challenge with full motivation and effort.